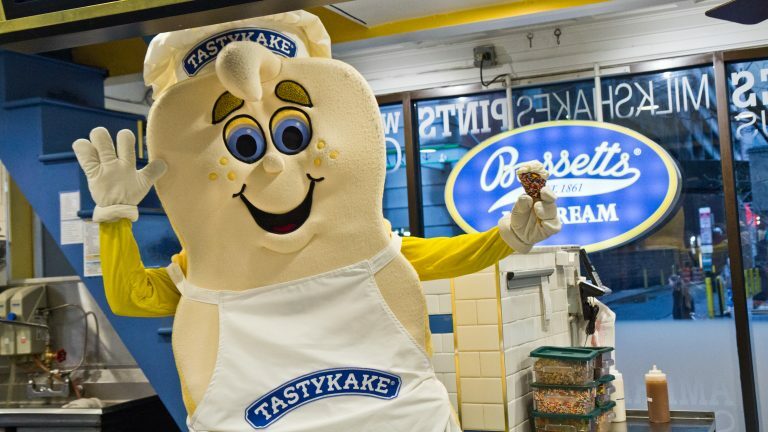 He was making a shake at Reading Terminal Market that uses a new line of Tastykake doughnuts as an ingredient. The doughnuts are inspired by ice cream flavors. “We’re gonna spin it up,” Bassett said once the stainless-steel shaker was loaded with all the ingredients. After the shake was mixed, he poured it into a cup decorated with chocolate syrup and garnished with a Tastykake doughnut. 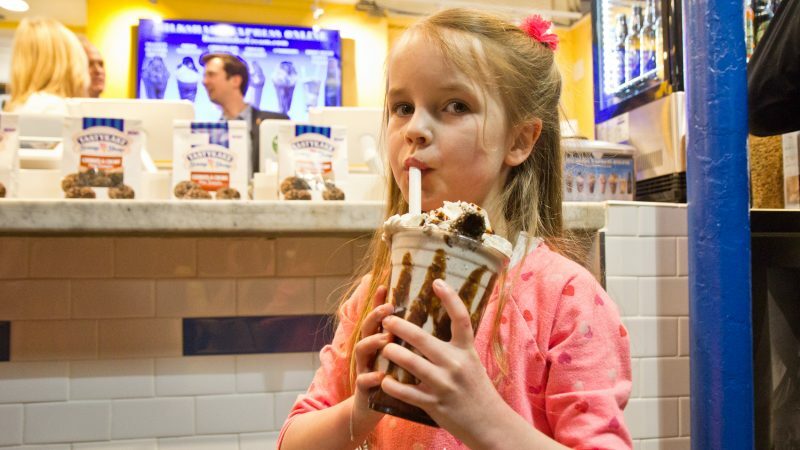 This cookies-and-cream shake is a limited-edition launch between Bassetts and Tastykake, iconic Philadelphia brands that have been around for more than a century, as a way to promote Tastykake’s new “Scoop Shop” line of sweets. 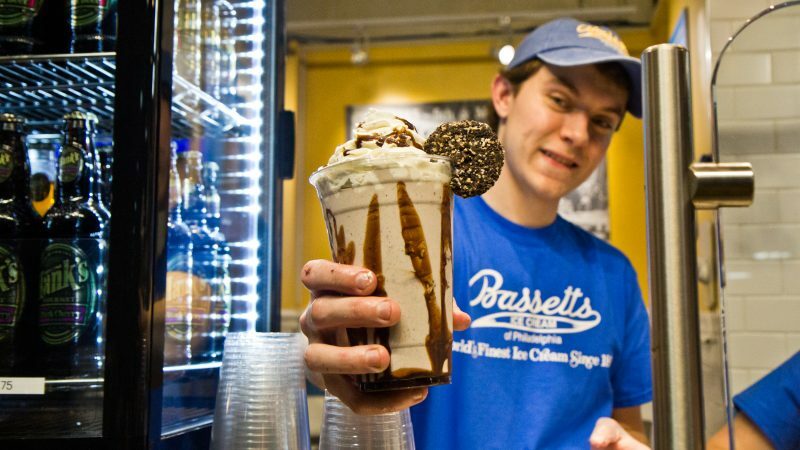 Though Bassetts isn’t involved in the release of the Scoop Shop line, it was happy to help promote it with a collaboration of milkshakes. “We wanted to help them get their message out there that there’s a new doughnut that’s inspired by ice cream flavors, and as ice cream is our wheelhouse, we thought what better place to launch that,” Alex Bassett Strange, a sixth-generation Bassett, said Thursday evening as the shakes were served up for the first time. They’ll be available at Reading Terminal Market only through the end of March. 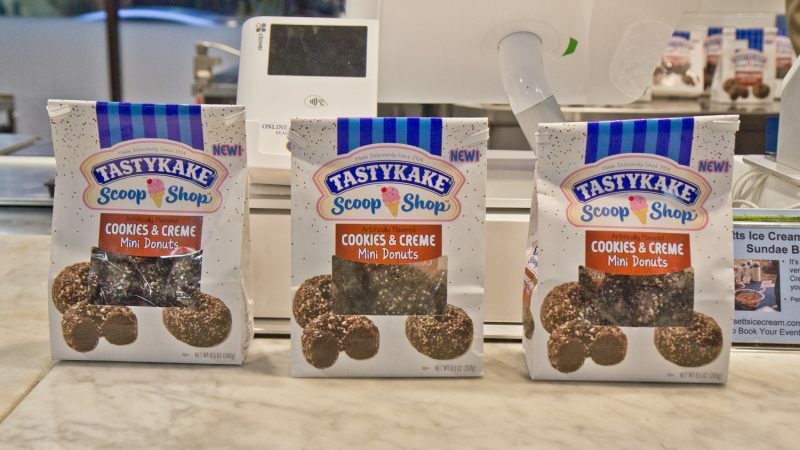 Tastykake debuted its first item in the Scoop Shop line last week. It plans two additional product releases this year— a mint chocolate chip cookie sandwich and a chocolate chip cookie dough junior — but there are currently no plans for additional milkshake collaborations. Ashley Niko was at Reading Terminal earlier Thursday. The Northeast Philly resident said that while Tastykakes don’t taste the way they did when she was a kid, she still picks one up every now and then — probably because the Krimpets remind her of her childhood. “Growing up in Philly, they were always in the house, between my grandparents and my mother and everybody,” said Niko. But nostalgia can’t carry companies like Tastykake as they face increasing industry competition, said John Stanton, professor of food marketing at St. Joseph’s University. “Nostalgia can be a very powerful attribute of a product because people think about these things that they had when they were younger, etc. The problem is we’re all getting older, and we can’t rely on people dreaming of what things were,” Stanton said. Marge Boyle hasn’t has a Tastykake in 50 years. “I think my tastes changed, I liked more sophisticated things,” she said. And she isn’t the only one who quit Tastykakes with time. David Shengold also hasn’t had one in decades because he’s become more health-conscious. “I got more careful about my weight and just didn’t have a sweet tooth … I didn’t eat much in the way of cake at all,” he said. The Tastykake brand didn’t permeate the childhood of his nieces and nephews, Shengold said, and now a lot of them are foodies. What Niko, Boyle and Shengold described is emblematic of the landscape that brands such as Tastykake have been navigating for decades. Stanton said the company had difficulty breaking into markets outside the Philadelphia region at a time when national brands were creeping in with cheaper snacks, eating into Tastykake’s market share. At the same time, consumers looked for healthier snacks. In 2011, the brand was sold to a Georgia company, Flowers Foods. Some of the industry challenges remain the same, however, and new products are a lifeline for snack companies. 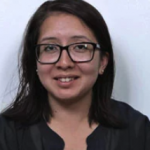 “It’s essential that they do these kinds of things to get people’s attention, to have people say, ‘What’s new?’ To put ‘new’ on your label, it’s one of the most powerful words in food marketing,” said Stanton. Still, Paul Ridder, regional vice president for Flowers Foods, said Tastykake is focusing on consumers as it mixes things up. He described a fine balance of working to gain new customers while making sure they keep the brands’ existing fans. “If all we did was have a butterscotch Krimpet and nothing else, there’d be a lot of consumers that wouldn’t be happy with that,” he said. “There’s some people who want peanut butter and peanut butter Kandy Kakes, or they want buttercream in our cupcakes, or they want a pie, or in this case they want a cookies-and-cream doughnut. Tastykake’s Scoop Shop line was based on research showing that consumers liked crossovers in their sweet snacks. Still, innovation is the name of the game in any business, said Strange. 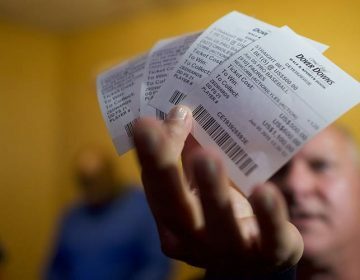 “The only way any business can stay alive is to keep up with the times,” he said. 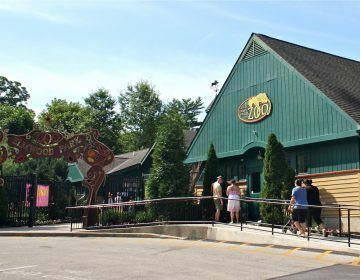 “It’s the reason we’re not delivering our ice cream via horse and buggy or churning our ice cream on the old wooden churns. As for 11-year-old Chelsea Rosado, occasional Tastykake consumer, just give her the classics. 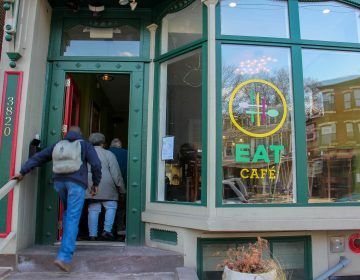 Drexel’s pay-what-you-can restaurant is going out of business.